Ki-o-rahi is a ball sport played in New Zealand with a small round ball called a 'ki'. The game is widely known in Māori communities and in scattered mainstream locations throughout the country. It is a fast-paced sport incorporating skills similar to Australian Rules, rugby union, netball and touch. Two teams of seven players play on a circular field divided into zones, and score points by touching the 'pou' (boundary markers) and hitting a central 'tupu' or target. The game is played with varying rules( e.g. number of people, size of field, tag ripping rules etc.) depending on the geographic area it is played in. A process called Tatu, before the game, determines which rules the two teams will use. In 2005 Ki-o-rahi was chosen to represent New Zealand by global fast-food chain McDonald's as part of its 'Passport to Play' programme to teach physical play activities in 31,000 American schools. The programme will give instruction in 15 ethnic games to seven million primary school children. ^ a b c d Jones, Renee (October 8, 2005). "McDonald's adopts obscure Maori ball game". ^ "McDonald's Passport to Play Kicks Off in 31,000 Schools". McDonald's Electronic Press Kit. Retrieved 2007-07-30. ^ "Historic tour grabs another win". Northland Age. 2010-10-12. Retrieved 2011-02-02. ^ Brown, Harko (2008). Nga Taonga Takaro: Maori Sports & Games. ^ Lewis, John (21 Apr 2012). "Traditional Maori games making a comeback". Otago Daily Times. Retrieved 19 September 2013. Although former chief executive of the Māori Language Commission, Dr. Patu Hohepa, a noted Māori academic, was quoted as saying "We cannot track it in the traditional Maori world... at this present time it is a mystery." Nonetheless he found the idea (that this was a traditional game) "fabulously exciting". According to Henry Anderson, kaiwhakahaere (Māori sport co-ordinator) for Sport Northland, ki-o-rahi is a traditional Māori game that has been "handed down over the centuries". Harko Brown, a physical education teacher at Kerikeri High School, who was taught the game in the late 1970s on his marae in the south Waikato, described it as "an indigenous game imbued with tikanga Māori with a very long history ... of a pre-European nature." References to the ancient forms of the game can be found in his book Nga Taonga Takaro. 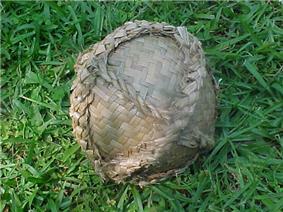 It is not clear when the term 'ki-o-rahi' originated as a collective term for ancient ball games played around a tupu.